Halloween is just around the corner and that means one thing! 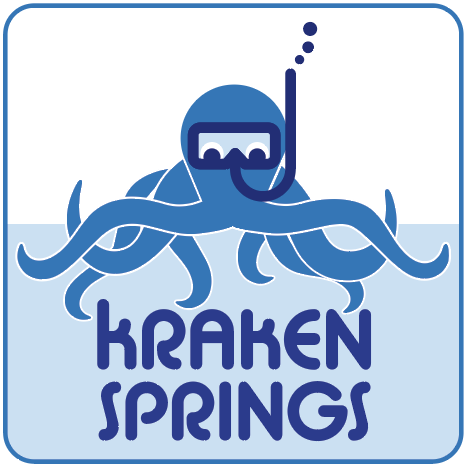 It's time for the end of season party at the Kraken Springs! Come help us celebrate an amazing dive season and test your pumpkin carving abilities in our Underwater Pumpkin Carving Contest! PADI Women's Dive "Day" Weekend! SAVE THE DATE: PADI WOMEN'S DIVE DAY IS JULY 21, 2018! BUT, THE LADIES IN OUR LIVES DO SO MUCH FOR US, WE WANT TO CELEBRATE THEM ALL WEEKEND LONG, JULY 21ST-22ND!! Join all your friends with the Kraken Being Officially Released at the Grand Re-Opening This Saturday, May 12th, 9am to 4pm! Lots of fun for the whole family!